Hollow Book with built-in HDTV hidden camera and HDTV DVR (Digital Video Recorder). This Hollow Book looks just like a normal average hardcover book, making it almost invisible. We hide the built in camera and digital recorder so well that it could be used almost anywhere without the risk of being discovered. The camera is hidden in the spine of this real book. It is normally installed so that the book would be standing upright. On request it may be installed so that the book could lay flat instead. The DVR Digital Video Recorder along with the rest of the electronic components and the battery are mounted inside a secret compartment inside the pages of the book. Since the book is a very standard size it means that a different cover can be used to easily change the appearance. NEW LONGER BATTERY LIFE or FULL-TIME POWER! This model can be powered full time from AC power and/or with rechargeable battery packs. Both series are very capable of full time typical surveillance and nanny cam type applications. 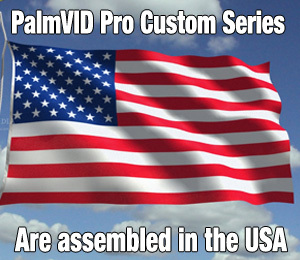 All prices are in USD - Copyright 2019 PalmVID Inc.